Potterhanworth Pre-School has its own purpose built building and is situated in the heart of the community on a shared site with school. It is a peaceful and secluded location looking out onto the school’s playing field and allotment. Pre-School has its own garden which allows the children to have free flow access outside as and when they choose to. Pre-School provides a caring, nurturing, stimulating and enjoyable environment for your child to feel safe and secure where they can flourish and become independent lifelong little learners. We work within the EYFS framework focusing on the prime areas: Personal, Social and Emotional Development, Communication and Language Development and Physical Development. We also support children in the four specific areas: Literacy, Mathematics, Understanding of the World and Expressive Arts and Design. We work in close partnership with Potterhanworth Church of England Primary School and liaise closely with the EYFS reception teacher. Throughout the year we attend a variety of school events such as school assemblies, harvest festival, Easter celebrations, world book day and sports day. The children also take part in activities for ‘Healthy School’ that promote children’s health and wellbeing. During the Easter term and until the end of the summer term our children starting school in September visit with the reception teacher spending an afternoon each week getting used to the classroom environment, they also visit for a couple of mornings in small groups to listen to the phonic sessions. This ensures a smooth and secure transition for the children when they begin school. Children aged 3 that will be starting school in the following September are able to attend school’s breakfast and after school club if parents require this service. Pre-School or on the Ofsted website. Pre-Schools morning sessions are 9am to 12pm Monday to Friday and afternoon sessions are available Monday to Thursday 12pm – 3pm. All day sessions (9am-3pm) are available on Monday to Thursday only. If you wish for your child to stay for the lunch period this can be arranged. We offer 27 hours tax-free childcare (if you’re eligible). 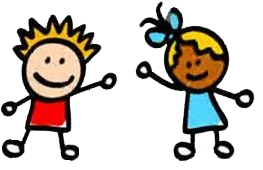 Information can be provided here at pre-Schol, or please visit: childcarechoices.gov.uk. The cost of a session is £14.50 for 3 year olds and £15.50 for 2 year olds (or part of). Should you require an information pack with additional information or would like to visit our setting please contact the Pre-School manager Teresa Hake on 01522 797408 or email at Potterhanworthpreschool @googlemail.com.